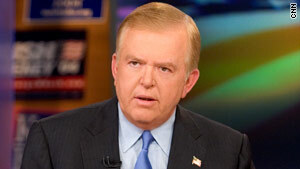 Lou Dobbs said the gunshot came after "weeks and weeks of threatening phone calls." (CNN) -- A gunshot struck the home of CNN anchor Lou Dobbs this month, and police in New Jersey are trying to determine whether the bullet was fired intentionally or was a stray. State Police Sgt. Steve Jones said Thursday that his department received a call from Dobbs' wife, who heard a shot and said a bullet hit her house. Jones said she had been outside her house with "an employee who worked with Dobbs" at 10:25 a.m. October 5. There were no injuries in the incident, which occurred in a small community in northern New Jersey. Dobbs has declined comment because the police investigation is ongoing, his representative said. Dobbs, who has been a vocal critic of illegal immigration, is the anchor and managing editor of CNN's "Lou Dobbs Tonight." He mentioned the incident on his radio show Monday, saying it comes amid an "atmosphere" of hostility from groups toward his stance on illegal immigration. On the radio show, aired by United Stations Radio Networks, Dobbs said that "a shot was fired at my house where I live" and that it followed "weeks and weeks of threatening phone calls." He said the hostility has "become part of a way of life, the anger, the hate, the vitriol, but it's taken a different tone where they threaten my wife." "They've now fired a shot at my house while my wife was standing next to the car. It's become something else, and if anybody thinks that we're not engaged in a battle for the soul of this country right now, you're sorely mistaken." Police aren't saying for now that the shot was fired at the house but only, as Jones said, that it struck the house. A stray shot from a long gun would not be a "totally uncommon occurrence because of the hunters and target shooters" in the region, Jones said. Jones couldn't give his opinion on what kind of shooting this might be, and he said the incident is being investigated "further past a stray hunter's bullet" because of Dobbs' "public persona." Police have conducted interviews and patrolled the area, Jones said. When asked whether police would refer the case to federal authorities if it turned out to be an attack, Jones said, "state police work regularly with other officers at local, county and federal levels and draw on any of resources when appropriate." "The case remains open," he said. "We want to take any incident like this seriously."